Overlooking Bwejuu – Paje beach, on the untouched, tranquil South Eastern coast of Zanzibar, this boutique property combines effortless elegance with Zanzibari sophistication. The airport is located approximately 6 kilometers (3.7 miles) south of Stone Town. 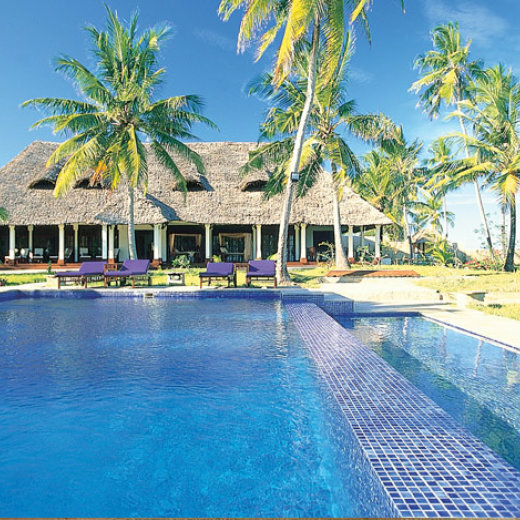 It is a 50-minute drive on a good road to The Zanzibar Collection. This collection of six beautifully designed villas offers luxurious comforts and amenities with personal attention throughout your stay. The thatched “bandas” shelter private day beds and loungers to provide intimate beach front privacy. The oasis where rustling coconut palms, white powder sand and the warm waves of the Indian Ocean combine to create a stunning recluse for the discerning traveler. Zanzibar is a magical Island where the fusion of Arab, African and European cultures has created a pace of life, a style of cuisine and a colorful tapestry of architecture , heritage, myth and magic that is found nowhere else in the world. 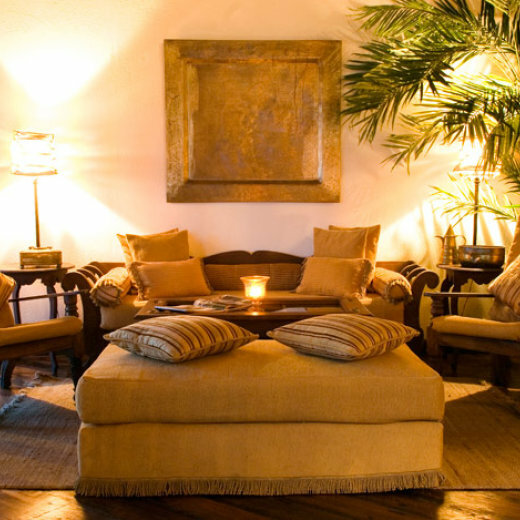 Each villa features a sophisticated interior composition of hand carved furniture and beautiful fabrics, where dark grained wood floors extend and the decor is a unique marriage of colonial grandeur and traditional design. The villas provides a range of beautifully appointed facilities reflecting the warmth and character of the local architecture. The elegant colonnaded terrace of The Plantation House leads into a spice inspired bar, onto an antique elegant dining room where fabrics change daily from rust colored silks to crisp white linens. An exotic cuisine is creatively presented reflecting the spices and flavors of the Island, fusing just caught with freshly picked. The chefs have an exotic menu fusing just caught with fresh picked for a wonderful dining experience. The beach front Sanctuary Spa offers a selection of world-class treatments designed to stimulate your senses and rejuvenate your soul. 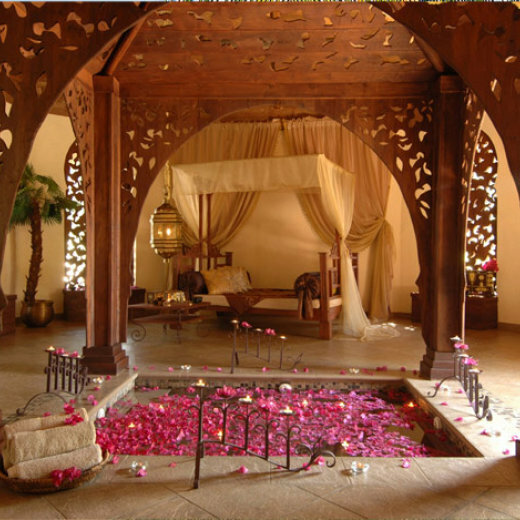 Guests can also use the neighbouring Frangipani Spa, which offers world-class treatments and facilities.